Play Your Game, Andrew StetS, BluEye, Medo, Alae Khaldi and more. 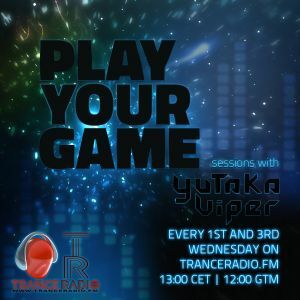 In this episode we have exclusive tracks and remixes from Andrew StetS, Cold Rush, M.E.D.O. , Michael de Kooker, N&R Project, Alae Khaldi, CBM, Miroslav Vrlik, Kamil Depress. Please respect the artists and buy these tracks.